PLEASE NOTE: Item must be shipped by truck. This item ships separately and requires a custom shipping charge. We have negotiated lower shipping rates with selected carriers and will choose the most economical carrier for your shipment. We will contact you prior to shipment to arrange delivery and payment for shipping. Subject to UPS hazardous surcharge. NOTE: Requires (1) of electrolyte (830-0043). Also requires (1) of MEK (830-0042). Both sold separately. Aquaflame Torches – at the heart of the workshop. The Aquaflame Torch systems are a must for any jeweler/repair facility. Made of the highest quality components the Aquaflame torch systems are proudly made in the United Kingdom with CE approval. Aquaflame is a complete soldering system—bottled gas with pressurized fuel tanks are a thing of the past. Minimal maintenance is required and to prove the exceptional construction and use, Aquaflame Torch Systems boast a full 2-year warranty! Why Aquaflame? The powerful yet compact generator converts distilled/deionized water into hydrogen and oxygen gases by electrolysis. 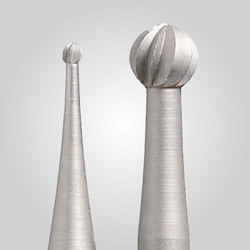 A wide range of tips are provided from 0.50mm to 1.50mm to perform standard soldering tasks such as re-sizing or re-tipping. The larger tips and extra power of the 800 and 1200 models make them capable of soldering platinum. A clean precise environmentally friendly flame is obtained by using Methyl-Ethyl-Keytone (MEK). 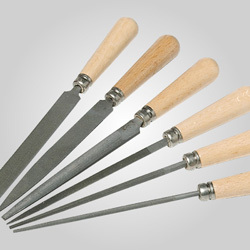 MEK leaves no residue on the surgical steel tips. This is far safer than the toxic/hazardous Methanol also known as Methyl Alcohol which is commonly used in other competitive torches. The operator will find the light-weight torch handle easy to hold and for safety, it contains a built-in Flashback Arrestor. When using liquid flux or flux based paste solders, you will see less fire scale which is commonly found when working on silver. Though extensively used in the jewelry industry, Aquaflame Systems are also used in the dental and other technical manufacturing industries making them ideal for precision soldering and micro welding. Aquaflame Torches are also widely used for acrylic flame polishing (edge polishing on acrylic) in plastic fabrication as this method requires no other materials or compounds and can finish intricate shapes quickly and easily. The Aquaflame is available in (3) models. 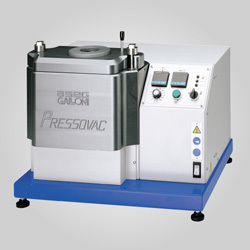 The Model 500 is ideal for soldering Silver, Gold, Stainless Steel Medical Instruments and some Titanium Alloys. The Models 800 and 1200 are ideal for the above-mentioned metals plus are better suited for soldering Platinum and additional operators can be added by ordering 830-1084. Complete with 2-year manufacturer's warranty—servicing required every 12 months for warranty to apply. See our website for services kits—Item# 830-1080 for Model 500, 830-1081 for Model 800, and 830-1082 for Model 500. Made in the United Kingdom. NOTE: Requires (1) of electrolyte (830-0043). Also requires (1) of MEK (830-0042). Both sold separately. *Servicing required every 12 months for warranty to apply. **Non-stock, special order and must ship via truck. Due to continuous improvements, some of the above details may change.